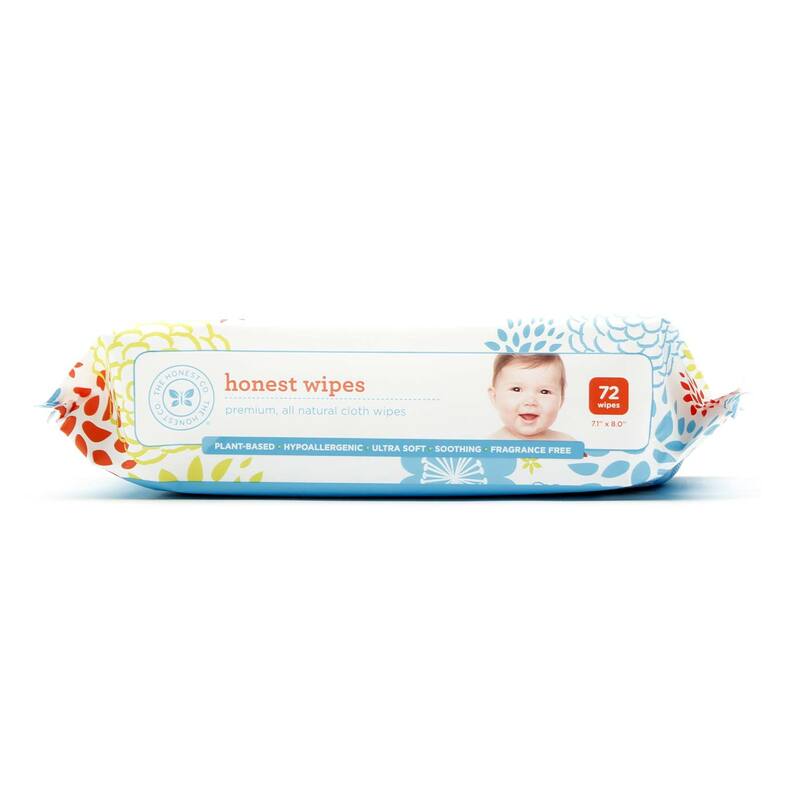 The Honest Company makes their Baby Wipes without harsh chemicals like chlorine for a gentle cleansing experience for baby. 警告: For external use only—please discontinue use if prolonged irritation or redness occurs. To avoid risk of choking or suffocation, keep away from children. 注意事项: Biodegradable. Hypoallergenic. Medical Grade Cloth. OekoTex Sustainably Harvested. No animal testing or by-products. 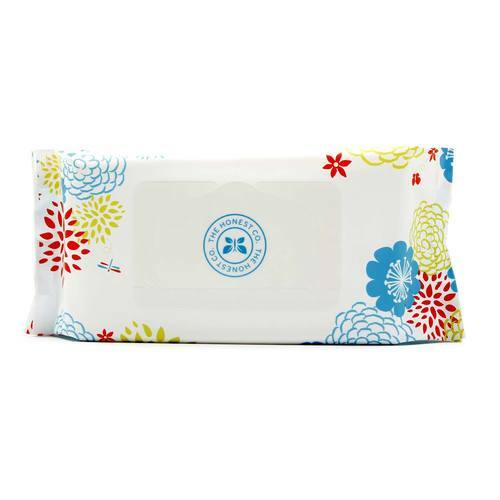 Free of alcohol, chlorine, phthalates, formaldehyde, parabens, phenols, quaternary ammonium compounds, SLS & SLES, lanolin & unnecessary additives. 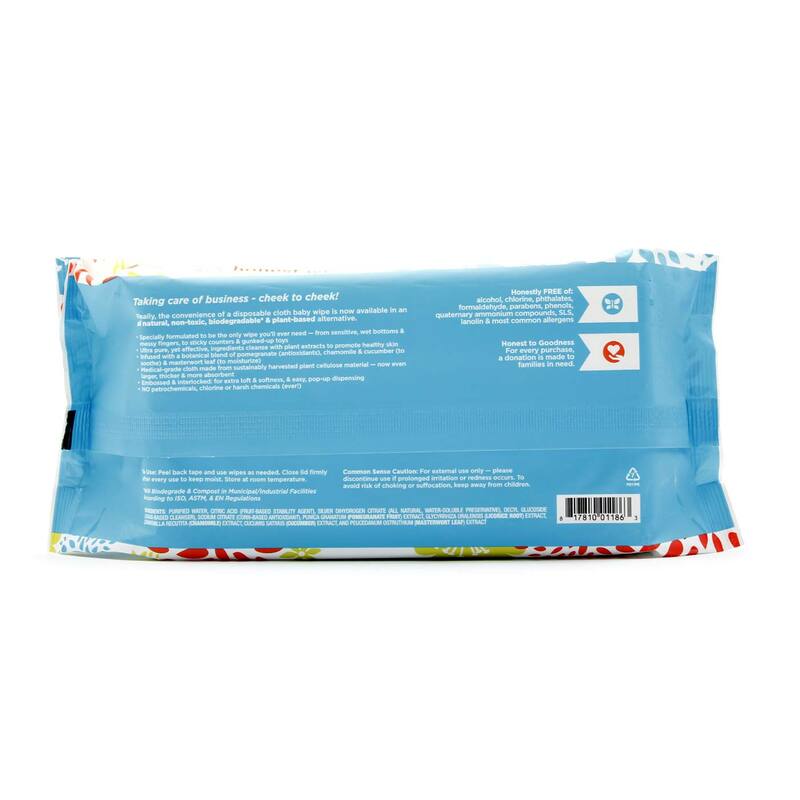 Ingredients: Purified Water, Citric Acid (Fruit-Based Stability Agent), Silver Dihydrogen Citrate (All Natural, Water-Soluble Preservative), Decyl Glucoside (Sugar-Based Cleanser), Sodium Citrate (Corn-Based Antioxidant), Punica granatum (Pomegranate Fruit) Extract, Glycyrrhiza uralensis (Licorice Root) Extract, Chamomilla recutita (Chamomile) Extract, Cucumis sativus (Cucumber Fruit) Extract and Peucedanum ostruthium (Masterwort Leaf) Extract. 推荐用法: Peel back tape and use wipes as needed. Close lid firmly after every use to keep moist.